Actualizado el 13 de septiembre, 2018 - 14.10hs. CHICAGO, Sept. 13, 2018 /PRNewswire/ -- SGK, a division of Matthews International Corporation, and a leading global brand development, activation and deployment provider that drives brand performance, announced today that Rachelle Sokan, engagement manager, client solutions, will address content governance in the omnichannel world at the EnterWorks Engage 2018 User Conference on September 19, 2018, 9:00 A.M. (CT), in New Orleans. Sokan will present Rock Brand Standards & Best Practices With Governance That Stakeholders Will Like And Adopt, featuring real world examples of how leading brands are transforming the way they think about, drive and deliver best practices and brand standards within their organizations and across stakeholder ecosystems. "In today's omnichannel world, leveraging best practices through content governance is essential for brand performance," said Sokan. Without governance individual stakeholders can go rogue which has a negative impact on the customer experience and a negative effect on financial performance." Added Sokan, "Compelling product content and seamless, centralized data are essential to compete in today's omnichannel world. Product information management and master data management solutions are enabling companies to acquire, manage, and transform product information into persuasive content to drive sales and develop new competitive strengths." The 2018 Engage User Conference brings together EnterWorks' PIM (Product Information Management) and MDM (Master Data Management) experts with its valued solution users to connect, share best practices, learn, and grow. Informative sessions, customer presentations and inspiring keynotes will explore how the right B2B2C collaboration capabilities can empower you to respond to the demand for rich, cross-channel content. Rachelle Sokan leads the content management practice area within SGK, a global brand development and deployment provider. Sokan brings over 19 years of experience in B2B and B2C environments working with sales and marketing professionals to drive acquisition, retention and growth strategies. 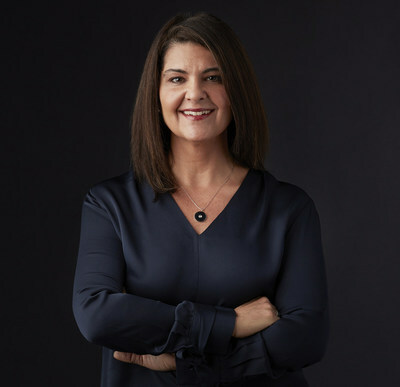 With a background deeply rooted in consulting and e-commerce content strategy, Rachelle leverages the power of design thinking with process optimization to elevate and differentiate brands to more meaningfully connect to their customers in an ever-evolving digital landscape.